I felt there needed to be a comprehensive jukebox control script. This script allows you to replicate all of the commands in the basic jukebox and then some via chat commands or a user interface that displays within chat. The script allows playlist functionality by importing all tracks and playlists from Jukebox into Roll20AM. There's an ability to create up to 4 dynamic playlists (called Tags) from individual tracks so you don't have to go back and manipulate Jukebox and import again into Roll20AM. The in-game help has been disabled for the time being because of the new User Interface, which makes building help around the UI a challenge. 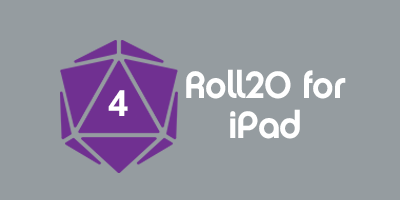 The UI is designed so once you are in it, you won't have to execute Roll20AM commands. However, because dice rolls and player chats can fill up the chat window it's always handy to have a macro with !roll20AM --config ready to go to bring it back up. Master Volume - Click on the volume level to set another default volume. This updates all playlists and tracks. Master volume is the loudness (0-100) that a track will start playing at. Fade Time - Click on the seconds to set another default. This updates all playlists and tracks to the new fade time. Fade time is the number of seconds to fade in or fade out tracks. Delayed - Click on the seconds to set another Delayed time. This updates all playlists and tracks. Delayed is the number of seconds to wait before anything is done with a track. Playlists - Brings up the Playlists Menu, which shows all playlists you have defined in Jukebox. Remove All - Cleans out Roll20AM by removing all playlists and tracks from Roll20AM. This does not affect Jukebox. Use this when you make a lot of changes to your Jukebox Playlists. This is also needed when there is a schema change in Roll20AM. Check Schema version at the top of the script. Delayed Time - click on the number of seconds to bring up a roll query where can enter a new delayed time (in seconds). This is applied to all tracks in the playlist/tag, if clicked there, or to an individual track, if clicked there. Delayed time determines the number of seconds to wait until the next Roll20AM action is taken. Return Button - This button will display the previous menu. If you are on the Tracks View, it will return to Configuration. If you are on Playlist/Tags View, it will return to Configuration. If you are on Playlist or Tag Tracks View, it will return to the Playlists or Tags View. single - sets the Playlist, Tag or Track mode to single. For Playlists or Tags, it will play a singe track starting with first (open the Playlist or Tag to view current track order) and then stop. If you start the Playlist or Tag again, it will play the next track in order. For a track, it will play the track once and then stop. loop - sets the Playlist, Tag or Track mode to loop. For Playlists or Tags, it will play each track in order (open the Playlist or Tag to view current track order) and will continue to play each tracks, starting from the beginning if all tracks have been played, until the Playlist or Tag is stopped or faded out. For a track, it will play the track continuously until the track is stopped or faded out. random - sets the Playlist, Tag or Track mode to random. For Playlists or Tags, it will play a completely random track and continue to play more random tracks until the Playlist or Tag is stopped or faded out. This mode isn't available when setting a Track mode. shuffled - sets the Playlist, Tag or Track mode to shuffled. For Playlists or Tags, it will shuffle the Playlist or Tag and then play each track in shuffled order until the Playlist or Tag is stopped or faded out. This mode isn't available when setting a Track mode. together - sets the Playlist, Tag or Track mode to together. For Playlists or Tags, It will play all tracks in the Playlist or Tag at once. Fade Out will fade out all tracks and stop will stop all tracks. This mode isn't available when setting a Track mode. fade,time=<number of seconds> - sets the fade time for the playlist or track. If playlist or track is not provided sets the fade time for ALL playlists and tracks. Fade time is used to fade in or fade out a playlist or track. delayed,time:<number of seconds> - sets the delay time for the playlist or track. If playlist or track is not provided sets the delay time for ALL playlists and tracks. Delay time is used to force a track or playlist from starting based on the delayed number of secondsk. delay - adding delay:<number of seconds> to any command will delay that command by the number of seconds. Delay is optional. This page was last modified on 9 November 2018, at 19:18. This page has been accessed 9,732 times.